What a lovely long post, thank you. The information about the underbodies to prevent twisting and improve the hang of the skirt, is very interesting. I like these drop waist styles. They made a brief comeback in the 1980’s. Those little animal embroideries are so charming! Lovely. 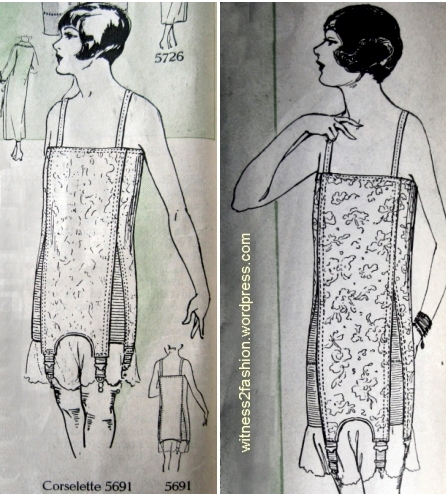 This gives lots more ideas actually of how to get a ’20s look by using a blouse or sweater over a dress to hide the waist. Very interesting to see those ‘underneath’ illustrations of how it all worked. Thank you, as always, for these pictures! A problem with the skirt being attached to an underbodice is, that you will have to wash the skirt much more often, which might wear the material out and means additional work, even more so, if there are, for instance, pleats to press. I wonder, if this was an issue at all. Just airing the clothes can’t really be the long-term solution, can it? I hand’t thought about that; perhaps, if the skirt is hand basted to the underbodice, you could separate them for washing, Mostly, I think our modern notions of cleanliness are different. And they did have deodorants…. You’re right, it must have been another approach to cleanliness. And surely to spending time on and caring for your clothes, too. Separating the skirt for washing the bodice means work that seems unnecessary, but than this was done with collars or inset vests, too. And of course the use of underwear eliminating the waist is a good point! 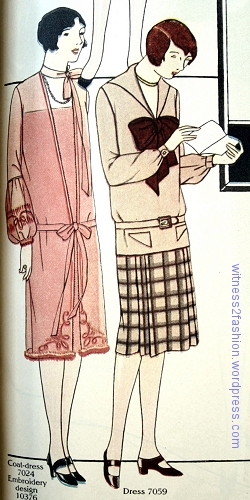 In searching for clothing of this era, it’s a lot more common to find the tops than it is the skirts of these two-piece dresses. I’ve even seen them separated at sales and in shops, the seller not realizing it was a set! I just want you to know how much I enjoy reading your posts. Thank you.